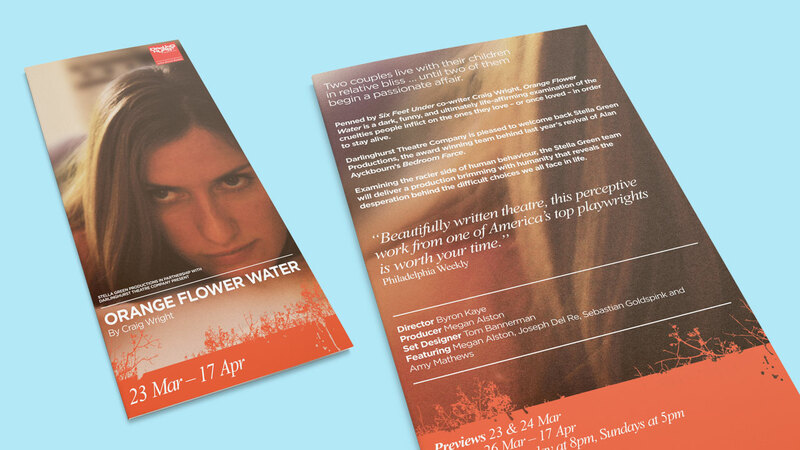 For Season 2011, I worked with Darlinghurst Theatre Company to create a consistent and unified branding approach, that could function across all of the theatre’s marketing materials. 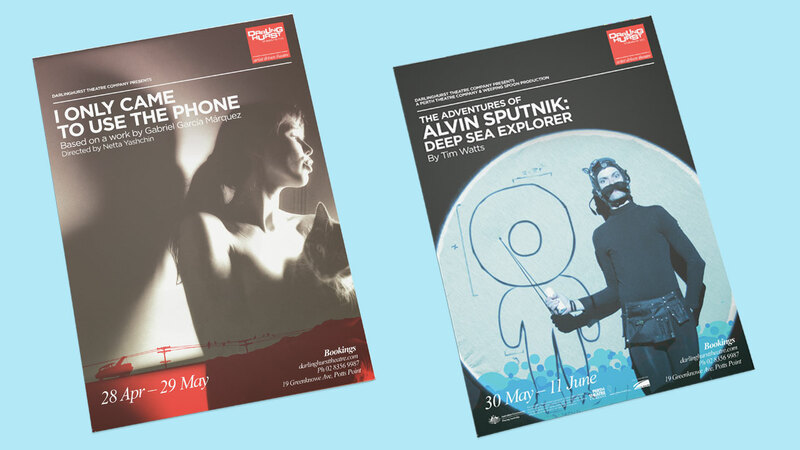 As many of the shows at Darlinghurst Theatre are co-operative, creative assets tend to come from a disparate number of sources, within varying scales of budget. 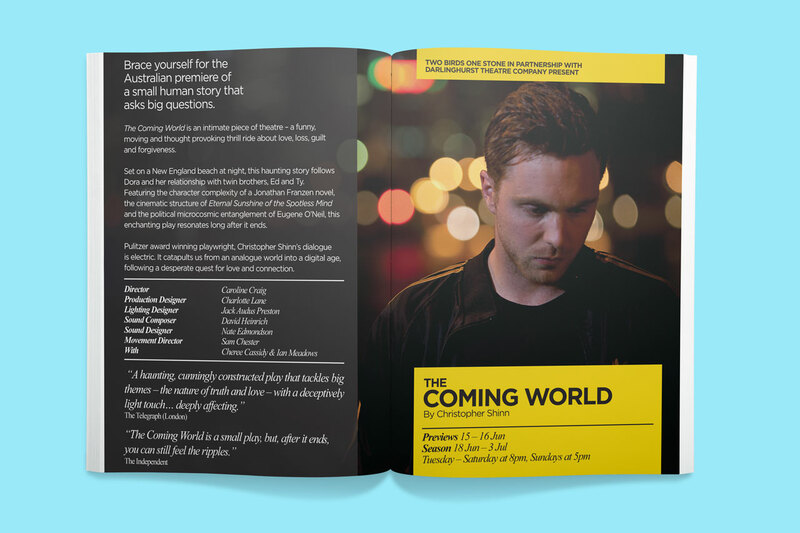 Our goal was to provide designs, layouts and type treatments that could bring together these material under the one ‘umbrella’ of Darlinghurst Theatre Company in a striking manner. 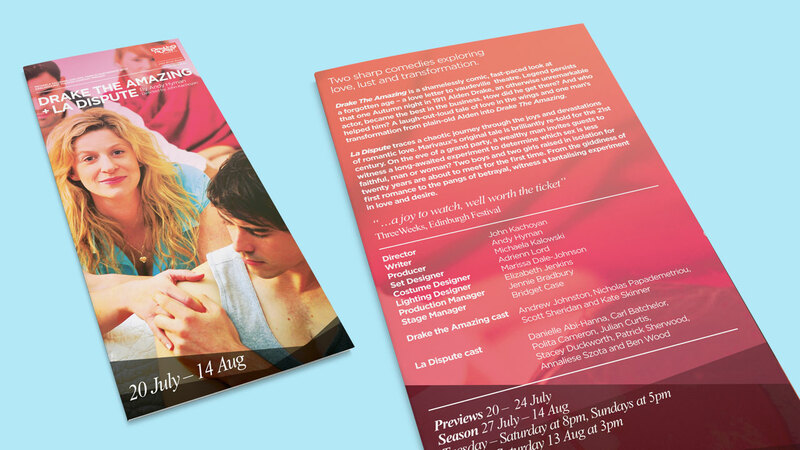 We started with a refresh of the Darlo logo, which was then used to inspire new creative layouts. 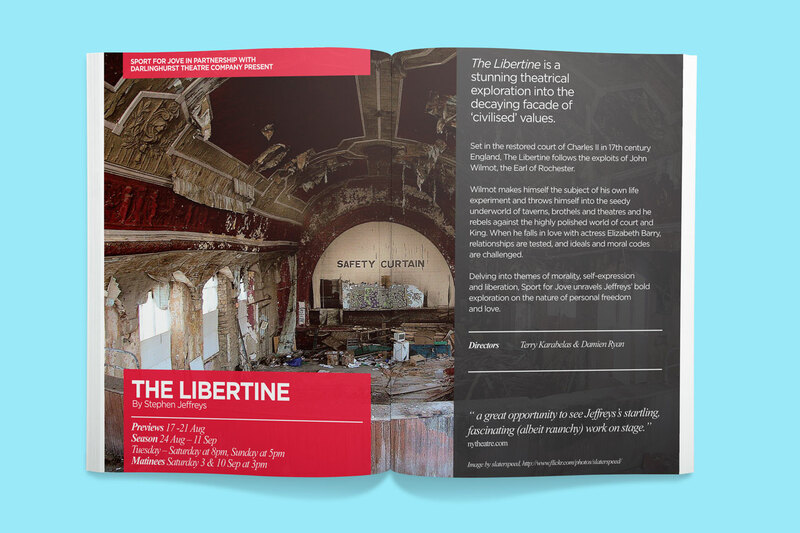 The aim for these were that they be type-oriented, thus accommodating different imagery, yet maintain a clean, unobtrusive layout for messaging and artwork. To provide a point of distinction, the lower messaging strap is treated graphically, evoking themes from the text or performance. This provides a unique point of reference for each collection of materials. 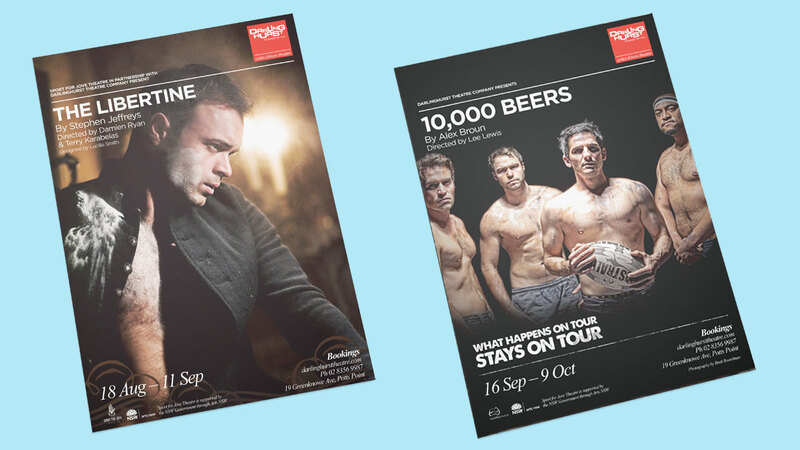 The designs have also been applied across online banner creative used to promote the shows.